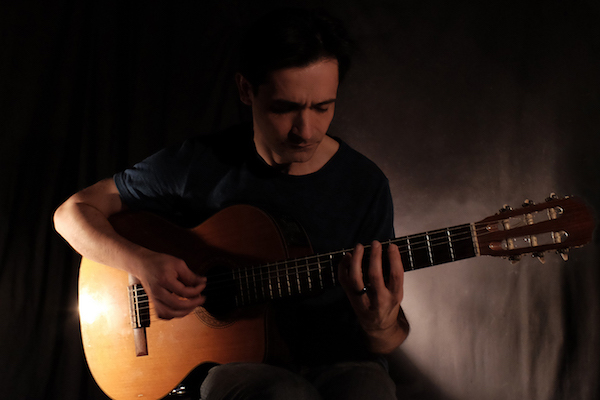 Originally from Buenos Aires, Argentina, Marcelo Dominguez studied at the Conservatory of Classical Music of General San Martin for 8 years under the renowned Dina Galvan. He also studied with Enrique Andreola, one of Argentina’s best guitarists while learning jazz, bossa nova, rock, and blues at the Conservatory of Jazz Music. Marcelo moved to New York in 2002 and devoted himself to teaching while promoting his own music style. He studied with American Jazz guitarists Nick Russo, Jimmy Hershman, Masayuky “Goro” Negoro, and pianist Jordan Piper. Marcelo later collaborated with guitarist Goro Negoro to create the jazz duo Gorocelo. In 2003 Marcelo began work as lead guitarist for Planta, a rock collaboration with friend and singer/songwriter Ricardo Ponce. After seven years of performing original music by Ricardo, Planta’s core band members were later joined by Jean Paul Le Du on bass and Joe Hauser on drums in 2010. The rock quartet released their debut EP Unwind in 2014. No Replies to "Marcelo Dominguez Quartet"